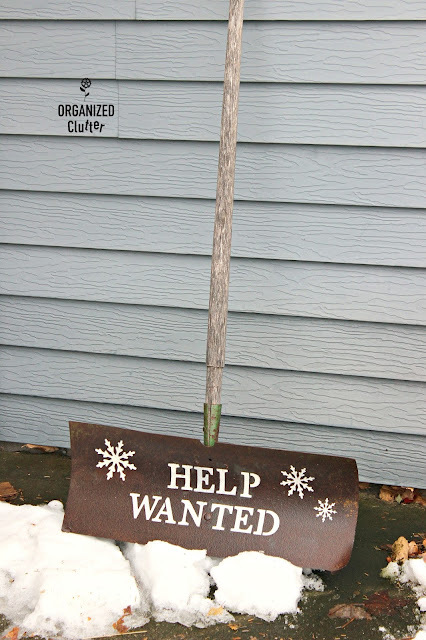 Do you pick up vintage yard tools at rummage sales? Including old snow shovels? Well I do, but I live in Minnesota. 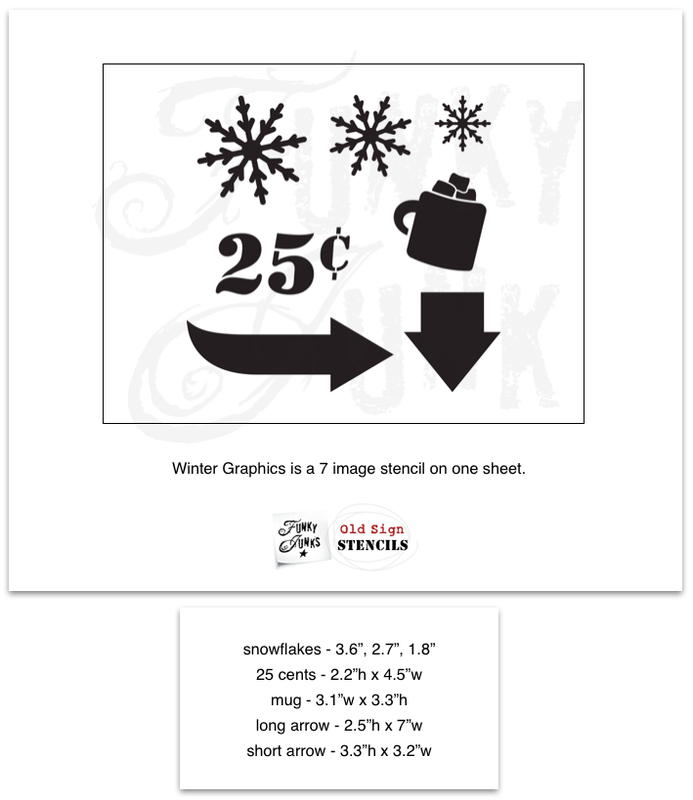 This is a Kaisercraft Uppercase Alpha Stencil that I pulled out of my stencil collection for this project. I stenciled my letters on the front of the shovel with Ceramcoat Acrylic Paint in Light Ivory and one of my Dreamweaver Stencil Brushes. I also stenciled on three snowflakes from *Old Sign Stencils Winter Graphics. 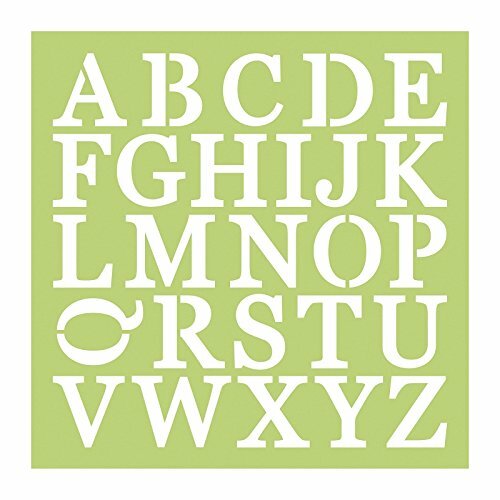 When you use a one piece 26 letter stencil, always line up the bottoms of each new letter to the already stenciled letters to keep them straight and keep an eye on distance between letters as well. Your words won't be perfect but they will work! I sealed the stencils, rust and all, with two coats of Varathane Crystal Clear Water-Based Polyurethane Satin Finish. My shovel will probably be under my covered patio most of the winter, but if not, I would add more coats of poly. Thank goodness for snow blowers! 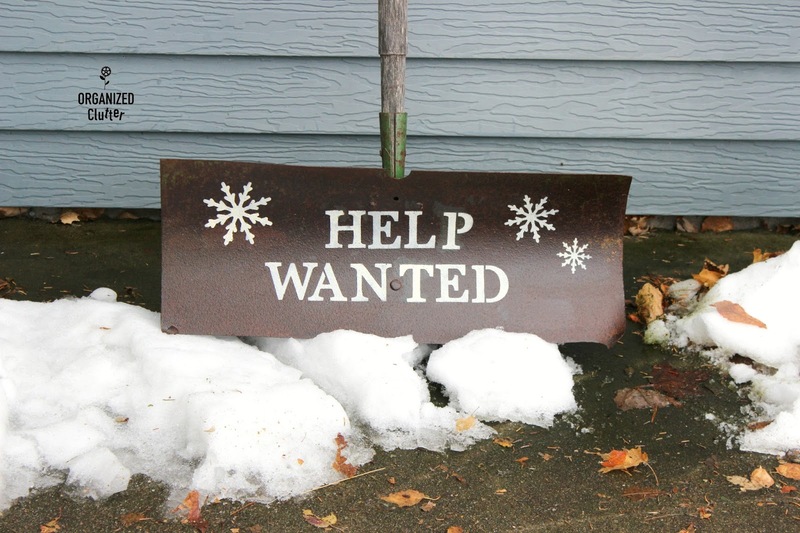 No one will apply for my help wanted ad! Snow shoveling is very hard work! I'm going to have fun with winter, because I have no other choice! 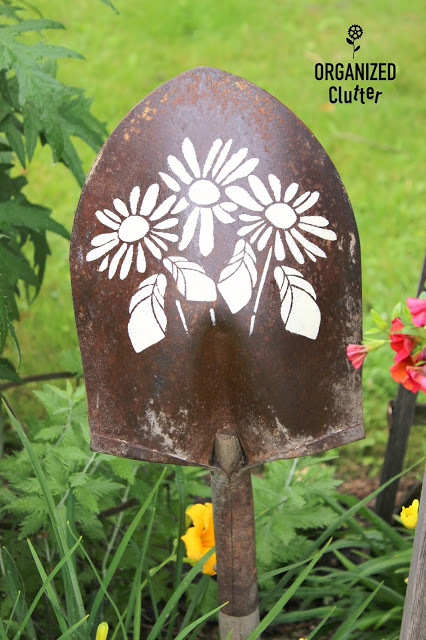 Love how this old Rusty shovel turned out! What a wonderful and creative idea! 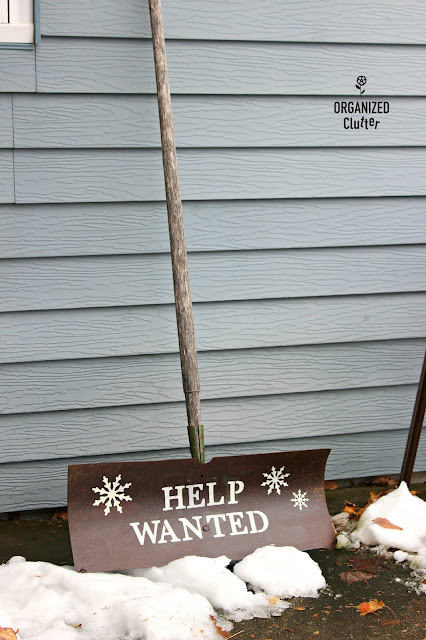 i love the shovel and the wordage! i'm looking in my shed for my old shovel today! So that is what a snow shovel looks like! I live in the piney woods of east Texas and we rarely see snow. . . .
Haha! I so adore the humour in this one! It's PERFECT!